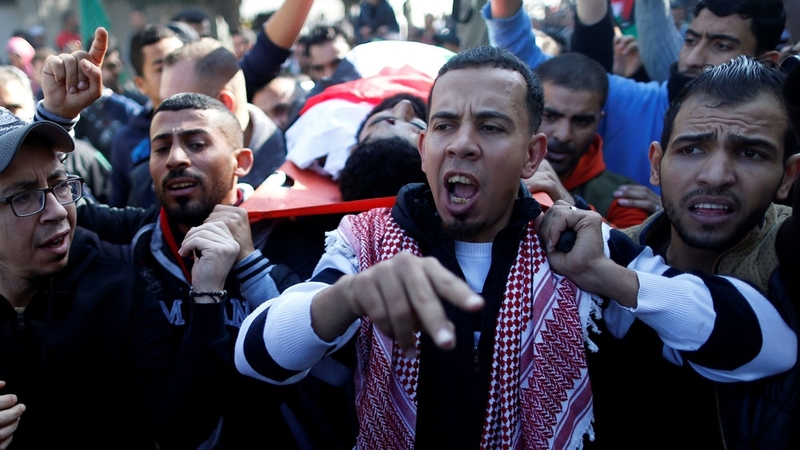 Al Jazeera’s Alan Fisher, reporting from Abu Thurayyah’s funeral procession in Gaza, said thousands of people had taken to the streets to pay their respects for “unlikely figure of Palestinian resistance and defiance”. 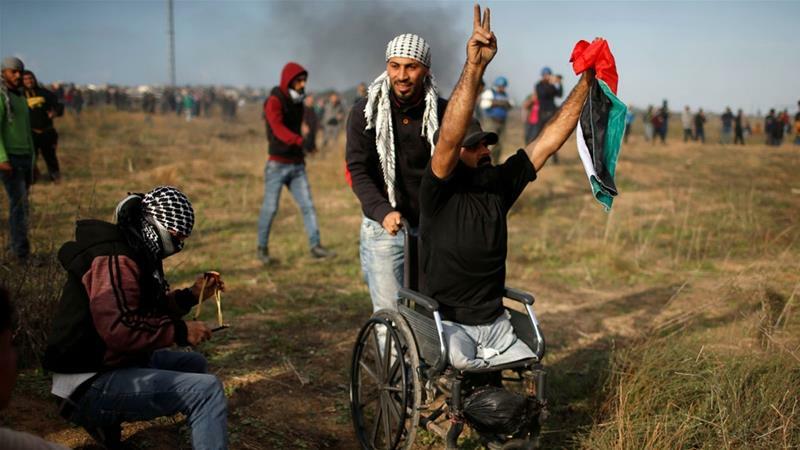 “He would often leave his wheelchair at home and attend rallies in protests around Gaza City just carrying his Palestinian flag,” said Fisher. Ashraf al-Qidra, the spokesman for Gaza’s health ministry, said in a statement on Saturday that the Israeli army has been using snipers armed with explosive bullets and indiscriminately firing tear gas canisters. “The army also uses gas bombs of unknown quality, which has led to the injury of dozens in the form of convulsions, vomiting, coughing and rapid heartbeat,” he said. “I hope one day to own a house,” he said. This entry was posted in MRSCP and tagged Gaza, Images, Video, Violence by admin. Bookmark the permalink.